Over the past four years, the new iPhones have always beaten Samsung‘s smartphones presented after Apple‘s on the speed of app launch. Now, for the first time, the new Galaxy S10 + would have conquered the fastest smartphone podium launching the app, beating the iPhone XS Max. The result comes from a test carried out by YouTuber PhoneBuff which compared the 2 devices using an automated benchmark mechanism. The spec sheet of the Galaxy S10 + imposes, with a chip Snapdragon 855, 8GB of RAM, a screen of a definition of 3040 x 1440 and all the tremor. 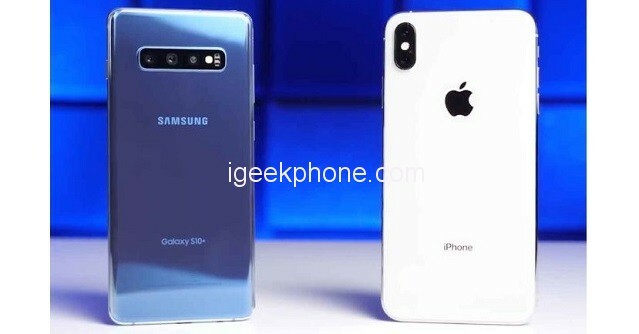 Samsung has put the package, and it feels: according to PhoneBuff, the new high-end Samsung beats the iPhone XS Max released last September. In this little game, Apple’s smartphone has always been faster than its competitors. The principle of the test has not changed, it is to launch a series of applications, the same on both devices, and to open documents for some of them. All using a robotic arm to avoid any controversy. 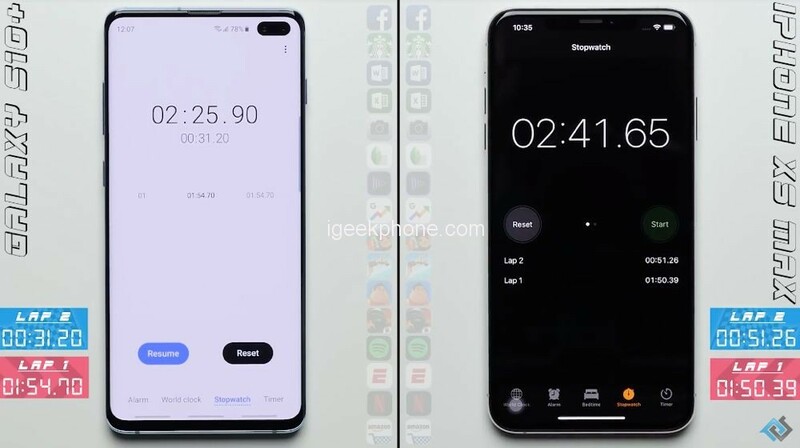 In the first round, the iPhone is four seconds ahead of the Galaxy S10 + (1 minute 50 seconds against 1 minute 54 seconds). It’s in the second round, where the arm opens the same applications, that the endowment in the RAM of the Samsung smartphone does wonders: the apps are restarting faster on the Samsung terminal (31 seconds, against 51 seconds on the iPhone). The result of the races: the exercise was carried out in 2 mn 41s for the iPhone XS Max, against 2 mn 25s for the Galaxy S10 +. We will now have to wait for Apple’s future chip (the A13?) To measure again the possible gap with the flagship chip of Android smartphones.